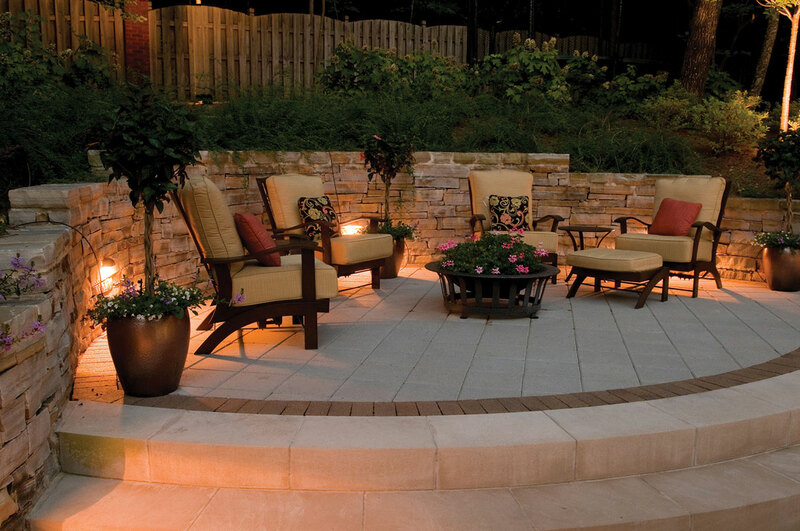 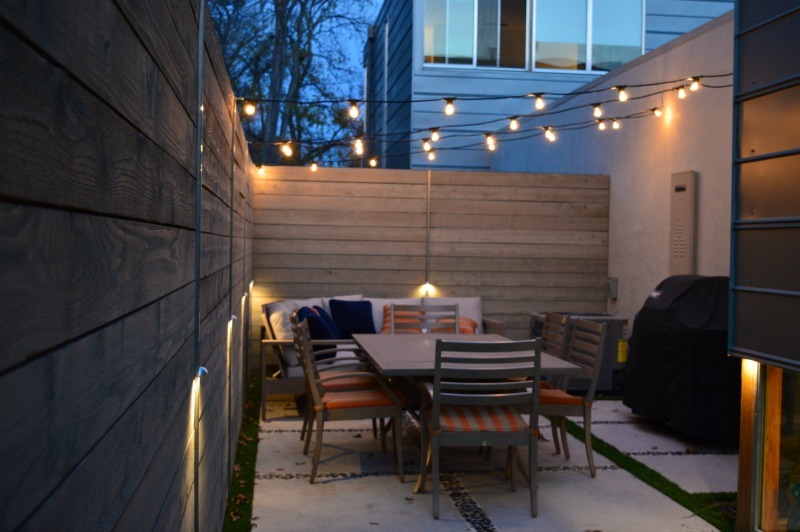 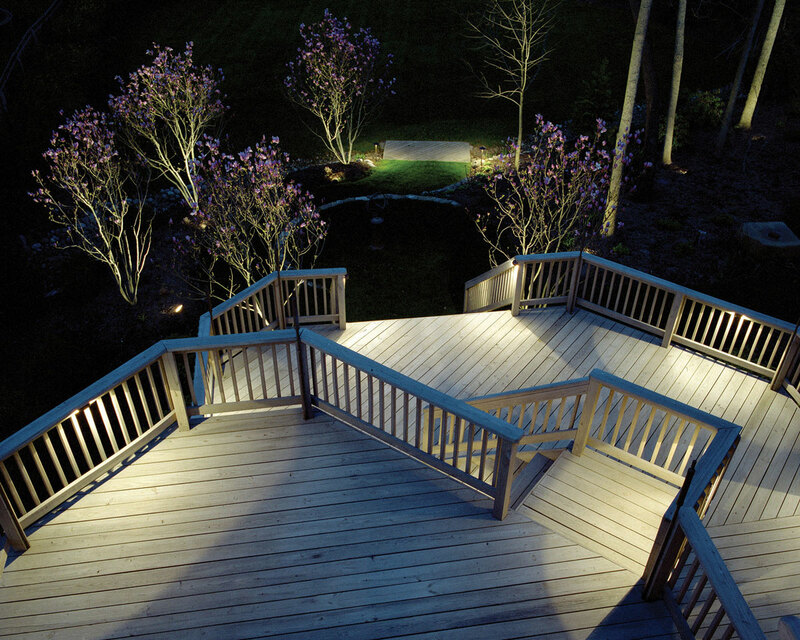 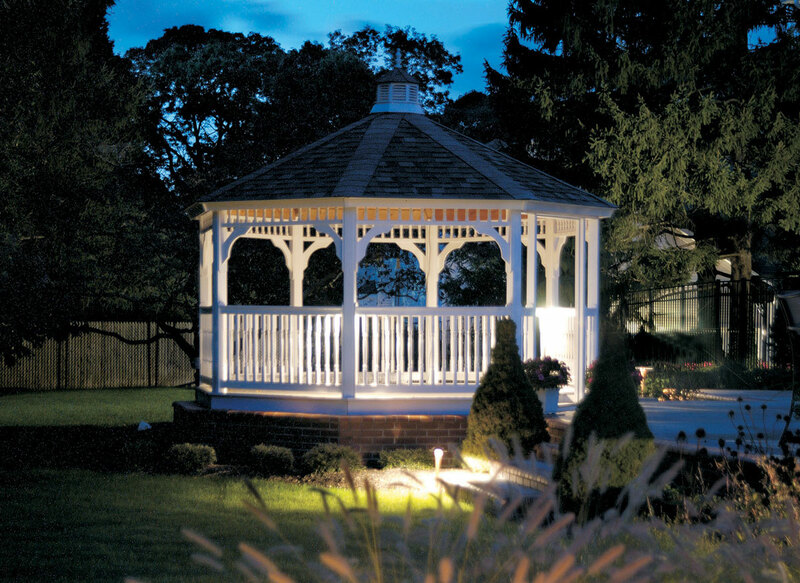 See all the fun you’ve been missing outside after dark with patio and deck lighting. 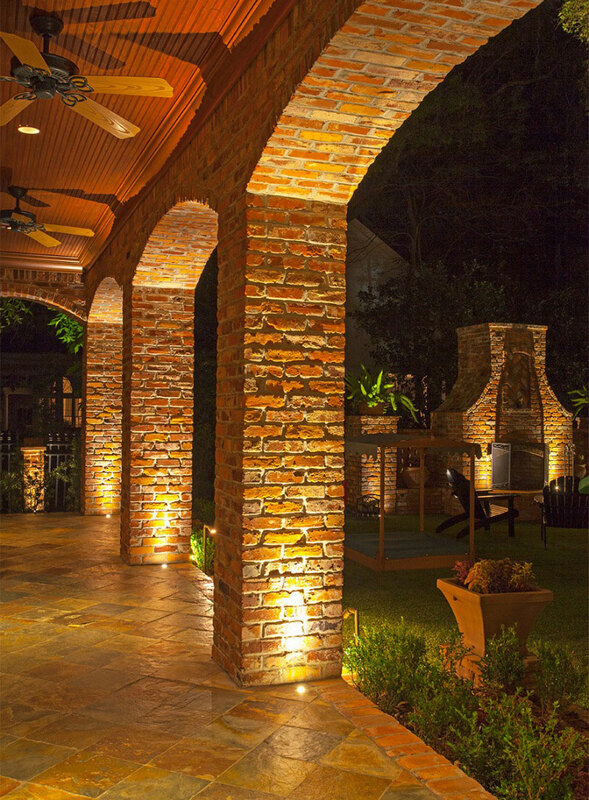 The best lighting statements are made by whispering rather than shouting. 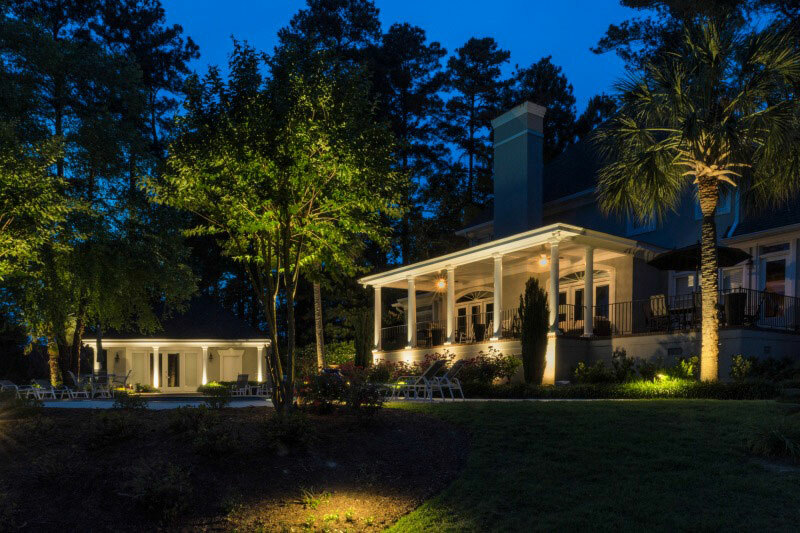 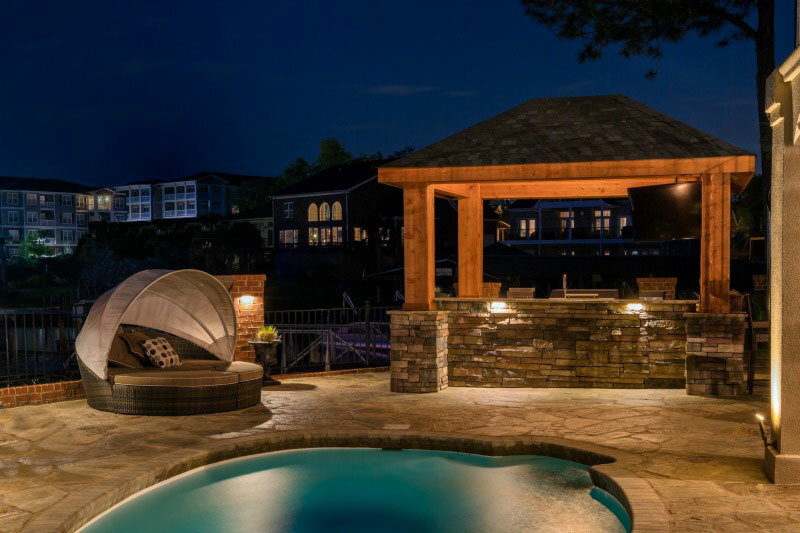 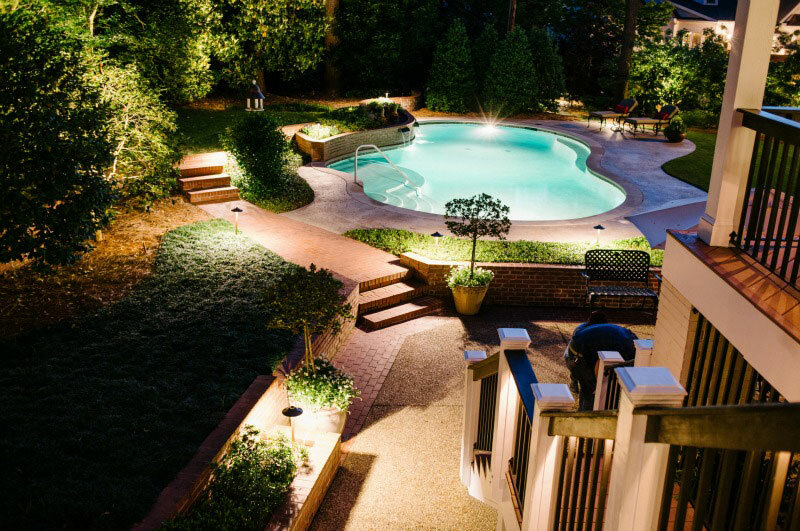 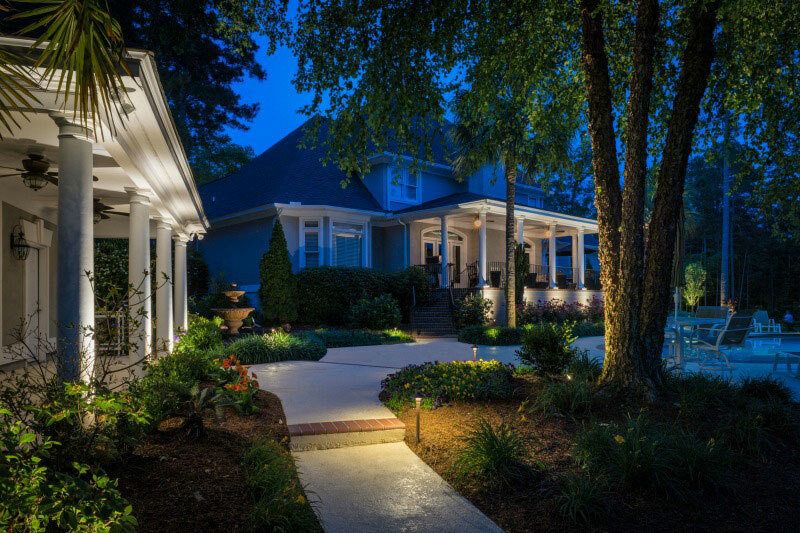 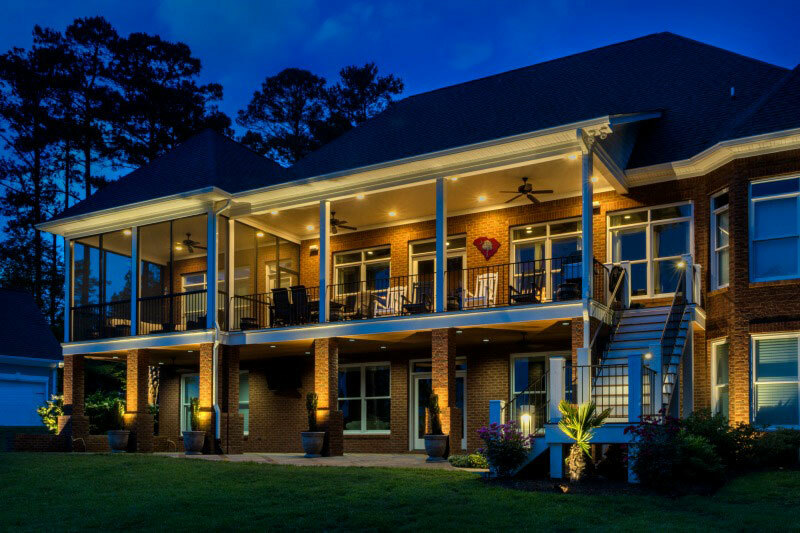 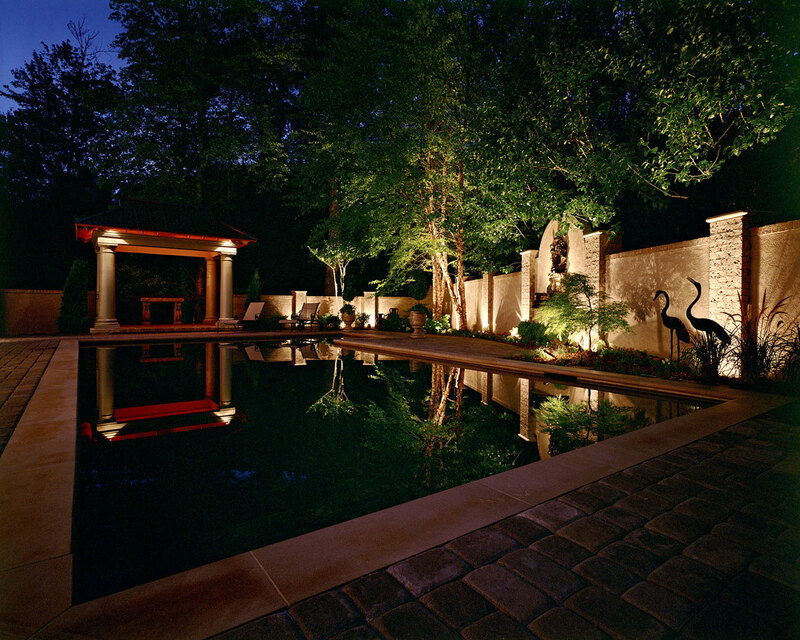 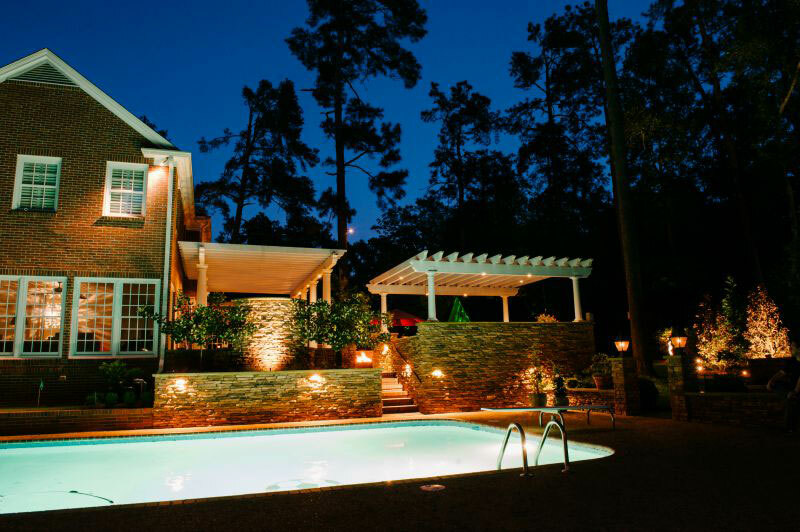 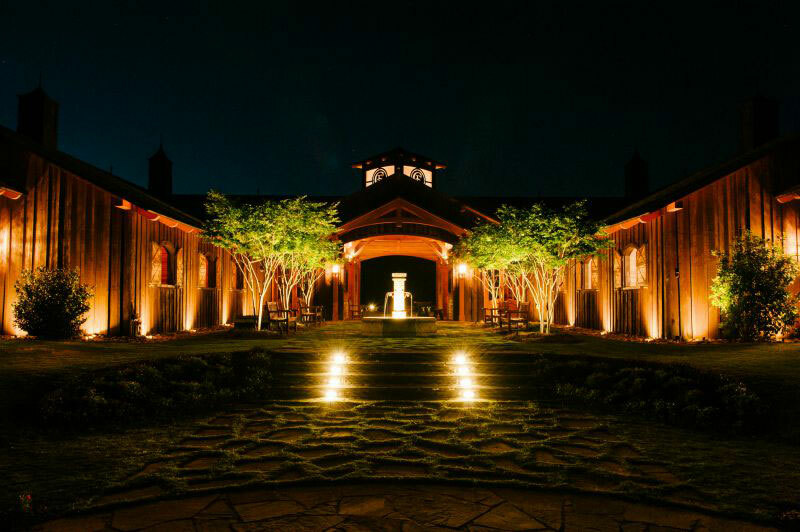 Our professional outdoor lighting designers create solutions that beautifully illuminate and accentuate your outdoor living spaces, using subtle touches of energy-efficient light to accentuate features without overpowering the yard or detracting from your nighttime view. 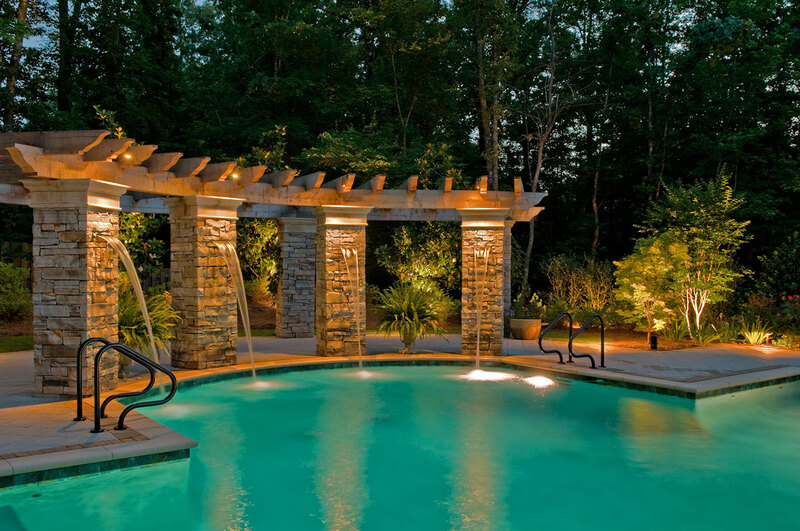 This greatly enhances eye appeal. 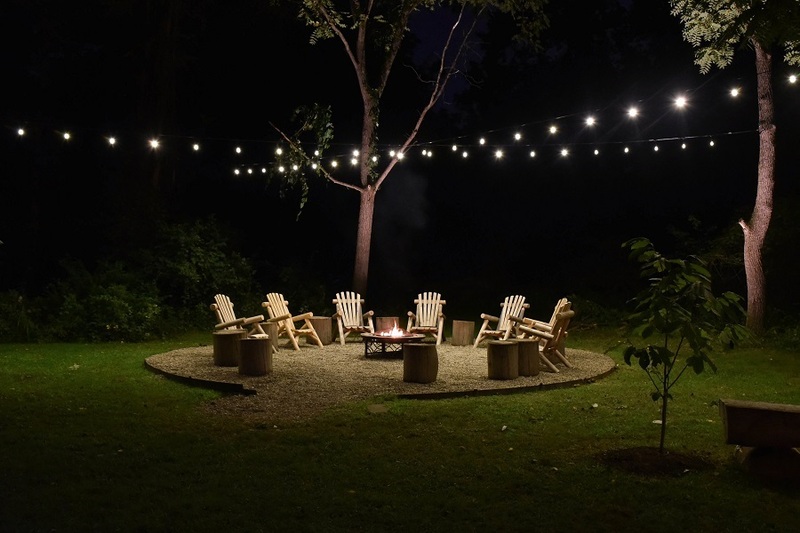 It also extends the usable square footage of your home, opening up your deck, porch, patio or gazebo for nighttime entertaining. 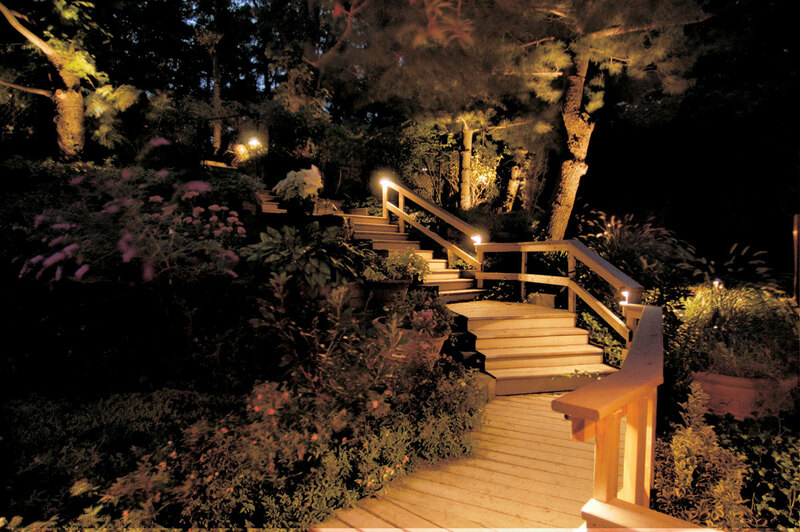 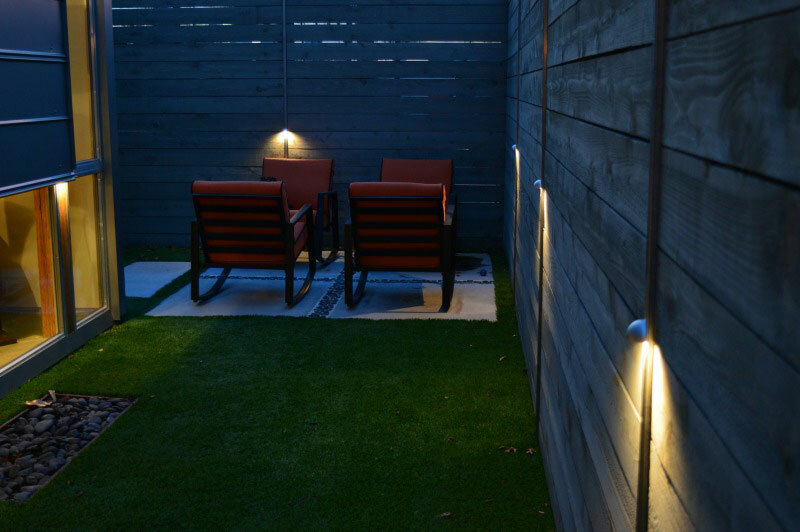 And with our fully programmable automatic lighting controls, the whole yard can switch on and off each evening. 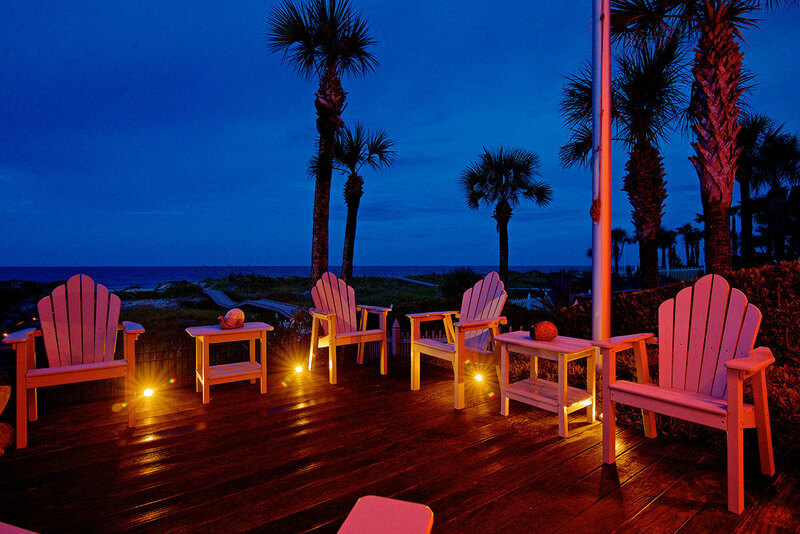 Owning the night was never easier. 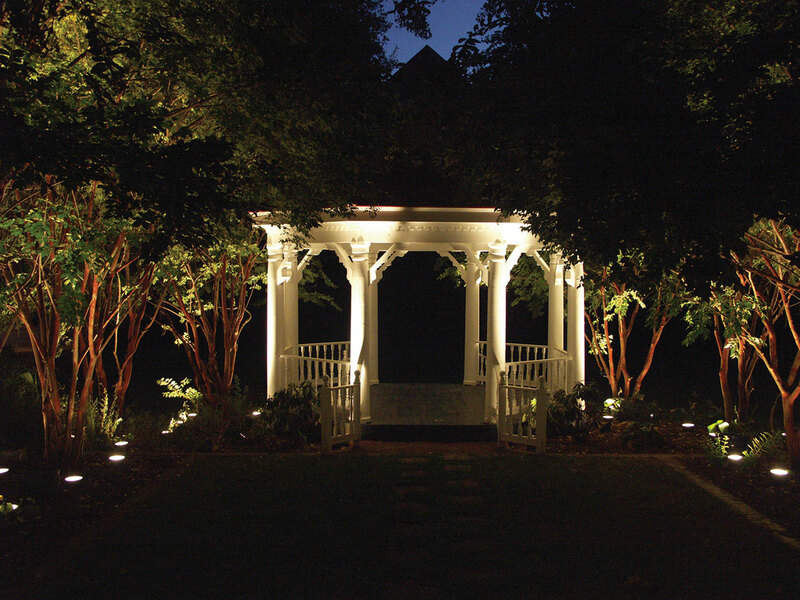 Porch, patio and deck lights not only allow you to use your outdoor spaces late into the evening, but also increase the safety and security of your backyard.